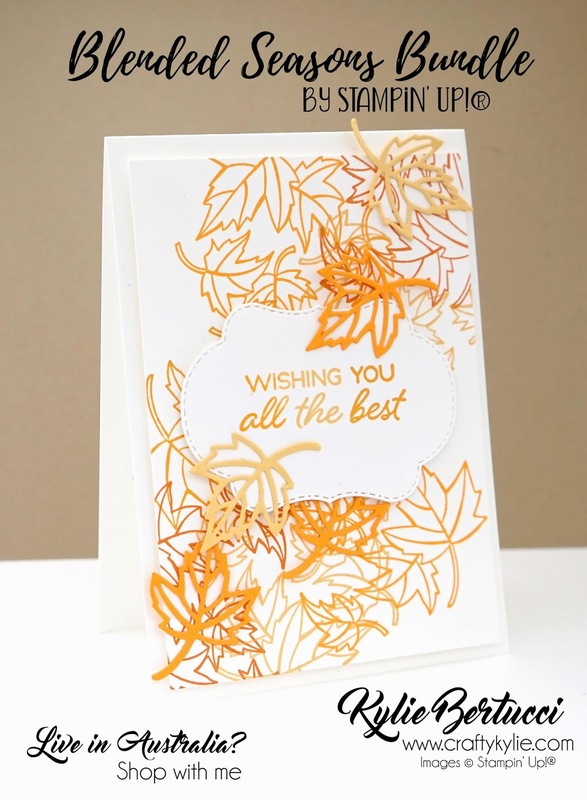 Thank you for joining us for another fantastic Crazy Crafters Blog hop. Boy do we have a treat for you today. We are hopping with the wonderful Alison Solven who I got to spend some time with on our last Stampin' Up!® holiday to Alaska. 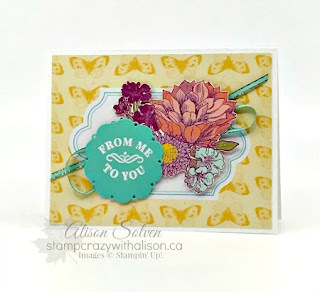 Alison is a super talented Stamper from Canada. We will all be casing a card of Alison's today and this is the card of Alisons that I chose to case. I decided to highlight the Blended Seasons Bundle as it will be gone before we know it. I really like how quickly this project was to make. The elements from Alisons card that inspired mine was the layout - and adding the layers with the patterned design in the background.